This article is about the opera. For other uses, see Aida (disambiguation). Cover of a very early vocal score, c. 1872. Aida (Italian: [aˈiːda]) is an opera in four acts by Giuseppe Verdi to an Italian libretto by Antonio Ghislanzoni. Set in the Old Kingdom of Egypt, it was commissioned by Cairo's Khedivial Opera House and had its première there on 24 December 1871, in a performance conducted by Giovanni Bottesini. Today the work holds a central place in the operatic canon, receiving performances every year around the world; at New York's Metropolitan Opera alone, Aida has been sung more than 1,100 times since 1886. Ghislanzoni's scheme follows a scenario often attributed to the French Egyptologist Auguste Mariette, but Verdi biographer Mary Jane Phillips-Matz argues that the source is actually Temistocle Solera. Isma'il Pasha, Khedive of Egypt, commissioned Verdi to write an opera for performance to celebrate the opening of the Khedivial Opera House, paying him 150,000 francs, but the premiere was delayed because of the Siege of Paris (1870–71), during the Franco-Prussian War, when the scenery and costumes were stuck in the French capital, and Verdi's Rigoletto was performed instead. Aida eventually premiered in Cairo in late 1871. Contrary to popular belief, the opera was not written to celebrate the opening of the Suez Canal in 1869, for which Verdi had been invited to write an inaugural hymn, but had declined. The plot bears striking, though unintentional, similarities to Metastasio's libretto La Nitteti (1756). Verdi originally chose to write a brief orchestral prelude instead of a full overture for the opera. He then composed an overture of the "potpourri" variety to replace the original prelude. However, in the end he decided not to have the overture performed because of its—his own words—"pretentious insipidity". This overture, never used today, was given a rare broadcast performance by Arturo Toscanini and the NBC Symphony Orchestra on 30 March 1940, but was never commercially issued. Aida met with great acclaim when it finally opened in Cairo on 24 December 1871. The costumes and accessories for the premiere were designed by Auguste Mariette, who also oversaw the design and construction of the sets, which were made in Paris by the Opéra's scene painters Auguste-Alfred Rubé and Philippe Chaperon (acts 1 and 4) and Édouard Desplechin and Jean-Baptiste Lavastre (acts 2 and 3), and shipped to Cairo. Although Verdi did not attend the premiere in Cairo, he was most dissatisfied with the fact that the audience consisted of invited dignitaries, politicians and critics, but no members of the general public. He therefore considered the Italian (and European) premiere, held at La Scala, Milan on 8 February 1872, and a performance in which he was heavily involved at every stage, to be its real premiere. Verdi had also written the role of Aida for the voice of Teresa Stolz, who sang it for the first time at the Milan premiere. Verdi had asked her fiancé, Angelo Mariani, to conduct the Cairo premiere, but he declined, so Giovanni Bottesini filled the gap. 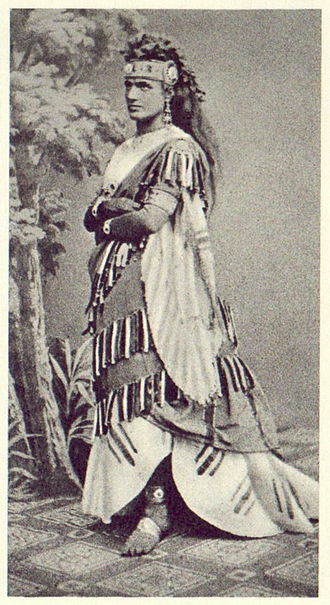 The Milan Amneris, Maria Waldmann, was his favourite in the role and she repeated it a number of times at his request. Aida was received with great enthusiasm at its Milan premiere. The opera was soon mounted at major opera houses throughout Italy, including the Teatro Regio di Parma (20 April 1872), the Teatro di San Carlo (30 March 1873), La Fenice (11 June 1873), the Teatro Regio di Torino (26 December 1874), the Teatro Comunale di Bologna (30 September 1877, with Giuseppina Pasqua as Amneris and Franco Novara as the King), and the Teatro Costanzi (8 October 1881, with Theresia Singer as Aida and Giulia Novelli as Amneris) among others. Argentina: 4 October 1873, at the original Teatro Colón, Buenos Aires, located at Rivadavia and Reconquista, then replaced by the headquarters of the Bank of the Argentine Nation. France: 22 April 1876, Théâtre-Lyrique Italien, Salle Ventadour, Paris, with almost the same cast as the Milan premiere, but with Édouard de Reszke making his debut as the King. Palais Garnier, Paris: 22 March 1880, sung in French, with Gabrielle Krauss as Aida, Rosine Bloch as Amnéris, Henri Sellier as Radamès, Victor Maurel as Amonasro, Georges-François Menu as the King, and Auguste Boudouresque as Ramphis. Metropolitan Opera, New York: 12 November 1886, conducted by Anton Seidl, with Therese Herbert-Förster (the wife of Victor Herbert) in the title role, Carl Zobel as Radamès, Marianne Brandt as Amneris, Adolf Robinson as Amonasro, Emil Fischer as Ramfis, and Georg Sieglitz as the King. Rio de Janeiro: 30 June 1886, Theatro Lyrico Fluminense. During rehearsals at the Theatro Lyrico there was an ongoing quarrel between the performers of the Italian touring opera company and the local inept conductor, with the result that substitute conductors were rejected by the audience. Arturo Toscanini, at the time a 19-year-old cellist who was assistant chorus master, was persuaded to take up the baton for the performance. Toscanini conducted the entire opera from memory, with great success. This would be the start of a promising career. A complete concert version of the opera was given in New York City in 1949. Conducted by Toscanini with Herva Nelli as Aida and Richard Tucker as Radamès, it was televised on the NBC television network. Due to the length of the opera, it was divided into two telecasts, preserved on kinescopes, and later released on video by RCA and Testament. The audio portion of the broadcast, including some remakes in June 1954, was released on LP and CD by RCA Victor. Other notable performances from this period include a 1955 performance conducted by Tullio Serafin with Maria Callas as Aida and Richard Tucker as Radamès and a 1959 performance conducted by Herbert van Karajan with Renata Tebaldi as Aida and Carlo Bergonzi as Radamès. La Scala mounted a lavish new production of Aida designed by Franco Zeffirelli for the opening night of its 2006/2007 season. The production starred Violeta Urmana in the title role and Roberto Alagna as Radamès. Alagna subsequently made the headlines when he was booed for his rendition of "Celeste Aida" during the second performance, walked off the stage, and was dismissed from the remainder of the run. The production continued to cause controversy in 2014 when Zeffirelli protested La Scala's rental of the production to the Astana Opera House in Kazakhstan without his permission. According to Zeffirelli, the move had doomed his production to an "infamous and brutal" fate. Aida continues to be a staple of the standard operatic repertoire. It is frequently performed in the Verona Arena, and is a staple of its renowned opera festival. The libretto does not specify a precise time period, so it is difficult to place the opera more specifically than the Old Kingdom. For the first production, Mariette went to great efforts to make the sets and costumes authentic. Given the consistent artistic styles throughout the 3000-year history of ancient Egypt, a given production does not particularly need to choose a specific time period within the larger frame of ancient Egyptian history. Backstory: The Egyptians have captured and enslaved Aida, an Ethiopian princess. An Egyptian military commander, Radamès, struggles to choose between his love for her and his loyalty to the King of Egypt. To complicate the story further, the King's daughter Amneris is in love with Radamès, although he does not return her feelings. Ramfis, the high priest of Egypt, tells Radamès, the young warrior, that war with the Ethiopians seems inevitable, and Radamès hopes that he will be chosen as the Egyptian commander (Ramfis, Radamès: "Sì, corre voce l'Etiope ardisca" / Yes, it is rumored that Ethiopia dares once again to threaten our power). Radamès dreams both of gaining victory on the battlefield and of Aida, an Ethiopian slave, with whom he is secretly in love (Radamès: "Se quel guerrier io fossi! ... Celeste Aida" / Heavenly Aida). Aida, who is also secretly in love with Radamès, is the captured daughter of the Ethiopian King Amonasro, but her Egyptian captors are unaware of her true identity. Her father has invaded Egypt to deliver her from servitude. Amneris, the daughter of the Egyptian King, enters the hall. She too loves Radamès, but fears that his heart belongs to someone else (Radamès, Amneris: "Quale insolita gioia nel tuo sguardo" / In your looks I trace a joy unwonted). Aida appears and, when Radamès sees her, Amneris notices that he looks disturbed. She suspects that Aida could be her rival, but is able to hide her jealousy and approach Aida (Amneris, Aida, Radamès: "Vieni, o diletta, appressati" / Come, O delight, come closer). 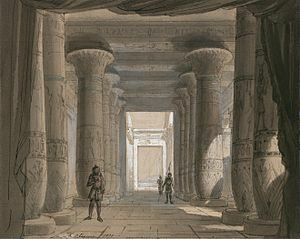 The King enters, along with the High Priest, Ramfis, and the whole palace court. A messenger announces that the Ethiopians, led by King Amonasro, are marching towards Thebes. The King declares war and proclaims that Radamès is the man chosen by the goddess Isis to be the leader of the army (The King, Messenger, Radamès, Aida, Amneris, Ramfis, chorus: "Alta cagion v'aduna .. Guerra, guerra, guerra!" / Oh fate o'er Egypt looming .. War, war, war!). Upon receiving this mandate from the King, Radamès proceeds to the temple of Vulcan to take up the sacred arms (The King, Radamès, Aida, Amneris, chorus: "Su! del Nilo al sacro lido" .. (reprise) "Guerra, guerra guerra!" / On! Of Nilus' sacred river, guard the shores .. (reprise) War, war, war!). Alone in the hall, Aida feels torn between her love for her father, her country, and Radamès (Aida: "Ritorna vincitor" / Return a conqueror). Solemn ceremonies and dances by the priestesses take place (High Priestess, chorus, Radamès: "Possente Ftha ... Tu che dal nulla" / O mighty Ptah). This is followed by the installation of Radamès to the office of commander-in-chief (High Priestess, chorus, Ramfis, Radamès: "Immenso Ftha .. Mortal, diletto ai Numi" / O mighty one, guard and protect!). All present in the temple pray fervently for the victory of Egypt and protection for their warriors ("Nume, custode e vindice"/ Hear us, O guardian deity). Dances and music to celebrate Radamès' victory take place (Chorus, Amneris: "Chi mai fra gli inni e i plausi" / Our songs his glory praising). However, Amneris is still in doubt about Radamès' love and wonders whether Aida is in love with him. She tries to forget her doubt, entertaining her worried heart with the dance of Moorish slaves (Chorus, Amneris: "Vieni: sul crin ti piovano" / Come bind your flowing tresses). When Aida enters the chamber, Amneris asks everyone to leave. By falsely telling Aida that Radamès has died in the battle, she tricks her into professing her love for him. In grief, and shocked by the news, Aida confesses that her heart belongs to Radamès eternally (Amneris, Aida: "Fu la sorte dell'armi a' tuoi funesta" / The battle's outcome was cruel for your people). This confession fires Amneris with rage, and she plans on taking revenge on Aida. Ignoring Aida's pleadings (Amneris, Aida, chorus: "Su! del Nilo al sacro lido" / Up! at the sacred shores of the Nile), Amneris leaves her alone in the chamber. Radamès returns victorious and the troops march into the city (Chorus, Ramfis: "Gloria all'Egitto, ad Iside" / Glory to Egypt, [and] to Isis!). The Egyptian king decrees that on this day the triumphant Radamès may have anything he wishes. The Ethiopian captives are led onstage in chains, Amonasro among them. Aida immediately rushes to her father, who whispers to her to conceal his true identity as King of Ethiopia from the Egyptians. 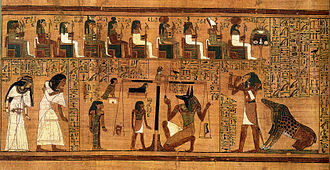 Amonasro deceptively proclaims to the Egyptians that the Ethiopian king (referring to himself) has been slain in battle. Aida, Amonasro, and the captured Ethiopians plead with the Egyptian King for mercy, but Ramfis and the Egyptian priests call for their death (Aida, Amneris, Radamès, The King, Amonasro, chorus: "Che veggo! .. Egli? .. Mio padre! .. Anch'io pugnai .. Struggi, o Re, queste ciurme feroci" / What do I see?.. Is it he? My father? .. Destroy, O King, these ferocious creatures). Claiming the reward promised by the King of Egypt, Radamès pleads with him to spare the lives of the prisoners and to set them free. The King grants Radamès' wish, and declares that he (Radamès) will be his (the King's) successor and will marry the King's daughter (Amneris). (Aida, Amneris, Radamès, Ramfis, The King, Amonasro, chorus: "O Re: pei sacri Numi! .. Gloria all'Egitto" / O King, by the sacred gods ... Glory to Egypt!). At Ramfis' suggestion to the King, Aida and Amonasro remain as hostages to ensure that the Ethiopians do not avenge their defeat. Prayers are said (Chorus, High Priestess, Ramfis, Amneris: "O tu che sei d'Osiride" / O thou who to Osiris art) on the eve of Amneris and Radamès' wedding in the Temple of Isis. Outside, Aida waits to meet with Radamès as they had planned (Aida: "Qui Radamès verra .. O patria mia" / Oh, my dear country!). Amonasro appears and orders Aida to find out the location of the Egyptian army from Radamès. Aida, torn between her love for Radamès and her loyalty to her native land and to her father, reluctantly agrees. (Aida, Amonasro: "Ciel, mio padre! .. Rivedrai le foreste imbalsamate" / Once again shalt thou gaze). When Radamès arrives, Amonasro hides behind a rock and listens to their conversation. Radamès affirms that he will marry Aida ("Pur ti riveggo, mia dolce Aida .. Nel fiero anelito"; "Fuggiam gli ardori inospiti .. Là, tra foreste vergini" / I see you again, my sweet Aida! ), and Aida convinces him to flee to the desert with her. In order to make their escape easier, Radamès proposes that they use a safe route without any fear of discovery and reveals the location where his army has chosen to attack. Upon hearing this, Amonasro comes out of hiding and reveals his identity. Radamès realizes, to his extreme dismay, that he has unwittingly revealed a crucial military secret to the enemy. At the same time, Amneris and Ramfis leave the temple and, seeing Radamès in conference with the enemy, call for the imperial guards. Amonasro draws a dagger, intending to kill Amneris and Ramfis before the guards can hear them, but Radamès disarms him, quickly orders him to flee with Aida, and surrenders himself to the imperial guards as Aida and Amonasro run off. The guards arrest him as a traitor. Amneris desires to save Radamès ("L'aborrita rivale a me sfuggia" / My hated rival has escaped me). She calls for the guard to bring him to her. She asks Radamès to deny the accusations, but Radamès, who does not wish to live without Aida, refuses. He is relieved to know Aida is still alive and hopes she has reached her own country (Amneris, Radamès: "Già i Sacerdoti adunansi" / Already the priests are assembling). Offstage, Ramfis recites the charges against Radamès and calls on him to defend himself, but he stands mute, and is condemned to death as a traitor. Amneris, who remains onstage, protests that he Radamès is innocent, and pleads with the priests to show mercy. The priests sentence him to be buried alive; Amneris weeps and curses the priests as he is taken away (Judgment scene, Amneris, Ramfis, and chorus: "Ahimè! .. morir mi sento .. Radamès, e deciso il tuo fato" / Alas .. I feel death .. Radamès, your fate is decided). Radamès has been taken into the lower floor of the temple and sealed up in a dark vault, where he thinks that he is alone. As he hopes that Aida is in a safer place, he hears a sigh and then sees Aida. She has hidden herself in the vault in order to die with Radamès (Radamès and Aida: "La fatal pietra sovra me si chiuse." / The fatal stone now closes over me). They accept their terrible fate (Radamès: "Morir! Si pura e bella" / To die! So pure and lovely!) and bid farewell to Earth and its sorrows. Above the vault in the temple of Vulcan, Amneris weeps and prays to the goddess Isis. In the vault below, Aida dies in Radamès' arms as the priests, offstage, pray to the god Ftha. (Chorus, Aida, Radamès, Amneris: "Immenso Ftha" / Almighty Ptah). The opera has been adapted for motion pictures on several occasions, most notably in a 1953 production which starred Lois Maxwell as Amneris and Sophia Loren as Aida, and a 1987 Swedish production. In both cases, the lead actors lip-synched to recordings by actual opera singers. In the case of the 1953 film, Ebe Stignani sang as Amneris, while Renata Tebaldi sang as Aida. The opera's story, but not its music, was used as the basis for a 1998 musical of the same name written by Elton John and Tim Rice. ^ Auguste Mariette to Paul Draneht (General Manager of the Cairo Opera House), Paris, 28 September 1871. (Translated and annotated ), Busch (1978), pp. 224–225. ^ The Cairo Opera House could only hold 850 spectators (Pitt & Hassan 1992). ^ a b c d Casaglia, Gherardo (2005). "Aida performance history". L'Almanacco di Gherardo Casaglia (in Italian). ^ McCants, Clyde (2005). Verdi's Aida: A Record of the Life of the Opera On and Off the Stage. McFarland. ISBN 978-0786423286. ^ Busch, Hans (1978). Verdi's Aida: The History of an Opera in Letters and Documents. University of Minnesota Press. ISBN 978-0816657155. ^ Phillips-Matz 1993, p. 628. ^ "Biography of Josephine Schefsky at theaterspielen.ch (in German)" (PDF). Archived from the original (PDF) on 2012-02-27. Retrieved 2009-09-28. ^ Loewenberg 1978, column 1019 (exact date, language). ^ Wolff 1962, p. 27; Phillips-Matz 1993, pp. 652–653. ^ Collins, Liat (4 June 2011). "Conquering Masada". The Jerusalem Post. Retrieved 19 May 2016. ^ Christiansen, Rupert (9 December 2006). "Zeffirelli's triumphant Aida at La Scala". The Daily Telegraph. Retrieved 19 May 2016. ^ BBC News (11 December 2006). "Booed tenor quits La Scala's Aida". Retrieved 19 May 2016. ^ Day, Michael (9 October 2014). "Franco Zeffirelli takes on La Scala: Legendary opera director in battle with theatre over sale of one of his 'greatest' productions to Kazakhstan". The Independent. Retrieved 19 May 2016. ^ Operabase. Performances during the 2008/09 to 2012/13 seasons. Retrieved 19 May 2016. ^ "Aida alla recita 14 per l'opera Festival 2018" (in Italian). Economic Veronese. 23 August 2018. Retrieved 27 August 2018. ^ Casaglia, Gherardo (2005). "Aida, 8 February 1872". L'Almanacco di Gherardo Casaglia (in Italian). ^ The High Priestess's name was Termuthis in early documentation. ^ a b "Aida and Ancient Egyptian History on the Met Opera website". Archived from the original on 2003-05-03. ^ The original draft included a speech by Aida (excised from the final version) that explained her presence beneath the Temple: "My heart knew your sentence. For three days I have waited here." The line most familiar to audiences translates as: "My heart forewarned me of your condemnation. In this tomb that was opened for you I entered secretly. Here, away from human sight, in your arms I wish to die." Busch, Hans (1978). Verdi's Aida. The History of an Opera in Letters and Documents. Minneapolis: University of Minnesota Press. ISBN 978-0-8166-0798-3 (hardcover); ISBN 978-0-8166-5715-5 (paperback). Greene, David Mason (1985). Greene's Biographical Encyclopedia of Composers. Reproducing Piano Roll Fnd. ISBN 0-385-14278-1. Loewenberg, Alfred (1978). Annals of Opera 1597–1940 Totowa, New Jersey: Rowman and Littlefield. (third edition, revised.) ISBN 978-0-87471-851-5. Nicotra, Tobia (2005). Arturo Toscanini. Kessinger Publ. Co. ISBN 978-1-4179-0126-5. Phillips-Matz, Mary Jane (1993). Verdi: A Biography, London & New York: Oxford University Press. ISBN 0-19-313204-4. Pitt, Charles; Hassan, Tarek H. A. (1992). "Cairo" in Sadie 1992, vol. 1, p. 682. Simon, Henry W. (1946). A Treasury of Grand Opera. Simon and Schuster, New York, New York. Tarozzi, Giuseppe (1977). Non muore la musica – La vita e l'opera di Arturo Toscanini. Sugarco Edizioni. Forment, Bruno (2015). "Staging Verdi in the Provinces: The Aida Scenery of Albert Dubosq", in Staging Verdi and Wagner, ed. Naomi Matsumoto (pp. 263–286). Turnhout: Brepols. Rous, Samual Holland (1924). The Victrola Book of the Opera: Stories of One Hundred and Twenty Operas with Seven-Hundred Illustrations and Descriptions of Twelve-Hundred Victor Opera Records. Victor Talking Machine Co.
Toye, Francis (1931). Giuseppe Verdi: His Life and Works, New York: Knopf. Wells, John (2009). "Aida". Longman Pronunciation Dictionary. Pearson Longman. ISBN 978-1-4058-8117-3. Wikimedia Commons has media related to Aida (opera). The Suez Canal is an artificial sea-level waterway in Egypt, connecting the Mediterranean Sea to the Red Sea through the Isthmus of Suez. It was constructed by the Suez Canal Company between 1859 and 1869, after 10 years of construction, it was officially opened on November 17,1869. It extends from the terminus of Port Said to the southern terminus of Port Tewfik at the city of Suez. Its length is 193.30 km, including its northern and southern access channels, in 2012,17,225 vessels traversed the canal. The original canal was a waterway with passing locations in the Ballah Bypass. It contains no locks system, with seawater flowing freely through it, in general, the canal north of the Bitter Lakes flows north in winter and south in summer. South of the lakes, the current changes with the tide at Suez, the canal is owned and maintained by the Suez Canal Authority of Egypt. Under the Convention of Constantinople, it may be used in time of war as in time of peace, by every vessel of commerce or of war, without distinction of flag. In August 2014, construction was launched to expand and widen the Ballah Bypass for 35 km to speed the canals transit time, the expansion was planned to double the capacity of the Suez Canal from 49 to 97 ships a day. At a cost of $8.4 billion, this project was funded with interest-bearing investment certificates issued exclusively to Egyptian entities, the New Suez Canal, as the expansion was dubbed, was opened with great fanfare in a ceremony on 6 August 2015. On 24 February 2016, the Suez Canal Authority officially opened the new side channel and this side channel, located at the northern side of the east extension of the Suez Canal, serves the East Terminal for berthing and unberthing vessels from the terminal anytime of day and night. Ancient west–east canals were built to travel from the Nile River to the Red Sea. One smaller canal is believed to have been constructed under the auspices of Senusret II or Ramesses II. Another canal, probably incorporating a portion of the first, was constructed under the reign of Necho II, the legendary Sesostris may have started work on an ancient canal joining the Nile with the Red Sea. The Teatro Regio di Parma, originally constructed as the Nuovo Teatro Ducale, is an opera house and opera company in Parma, Italy. Also well known in Parma was the conductor Arturo Toscanini, was there in 1867. As has been noted by Lee Marshall, while not as known as La Scala in Milan or La Fenice in Venice. Initially Rossini had been invited to compose a work for the inauguration of the house, that inaugural season saw three Rossini operas staged, including Moïse et Pharaon, and Il barbiere di Siviglia. Today, the company stages about four operas each season from mid January to April and, since 2003, the Nuovo replaced another existing small and narrow Ducal Theatre dating from 1688, which had been located in the Palazzo di Riserva. After a performance of Rossinis Zelmira in 1828, it was closed, the newly built Nuovo Ducale was located on the site of the former Monastery of St. Alexander and it was located next to the Ducal Palace. Construction began in 1821 during the reign of Marie Louise, Duchess of Parma who, as Napoleon Is divorced second wife and she settled in Parma, ruling from 1816 to 1847, and under her patronage and financial support, secured the services of the architect Nicola Bettoli. Marie Louise oversaw the construction, assuring that the interior decoration reflected the sobriety of neoclassicism, in 1849 restoration was called for and then, four years under the Bourbon Duke Carlo III, more opulent decoration took place. In addition, gas lighting in the house was installed, by 1907 the stage lighting was electrified, and that of the rest of house took place during the centennial of Verdis birth in 1913. The architecture of the Nuovo The façade of the theatre was built in the neoclassical style, the foyer is, as Martini describes it, a large square upheld by four pairs of imposing mottled marble Ionic columns on an attic base. The entire room is based on the square and on symmetry and it is decorated with a marble floor. After the 1853 restoration, which overall has been described as neobaroque, the chandelier, which was built in Paris and taken to Parma in 1854 when the theatre was adapted for gas, is 4.5 metres in height and weighs 1100 kg. Renaming the theatre After the reign of Duchess Marie Louise, the theatre was renamed, with the unification of Italy in 1861, the house took its present name, the Teatro Regio. The Berlin State Opera is a German opera company based in Berlin. Its permanent home is the Staatsoper Unter den Linden, commonly referred to as Lindenoper, in the central Mitte district, originally the Hofoper from 1742, it was named Königliches Opernhaus in 1844, and Staatsoper Unter den Linden in 1918. From 1949 to 1990 it housed the opera of East Germany. Since 2004, the State Opera company belongs to the Berlin Opera Foundation, like the Deutsche Oper Berlin, the Komische Oper Berlin, the Berlin State Ballet, king Frederick II of Prussia shortly after his accession to the throne commissioned the original building on the site. Construction work began in July 1741 with what was designed by Georg Wenzeslaus von Knobelsdorff to be the first part of a Forum Fredericianum on present-day Bebelplatz. Although not entirely completed, the Court Opera was inaugurated with a performance of Carl Heinrich Grauns Cesare e Cleopatra on December 7,1742. This event marked the beginning of the successful, 250-year co-operation between the Staatsoper and the Staatskapelle Berlin, the orchestra, whose roots trace back to the 16th century. In 1821, the Berlin Opera—hosted at the Schauspielhaus Berlin—gave the premiere of Webers Der Freischütz, in 1842, Wilhelm Taubert instituted the tradition of regular symphonic concerts. 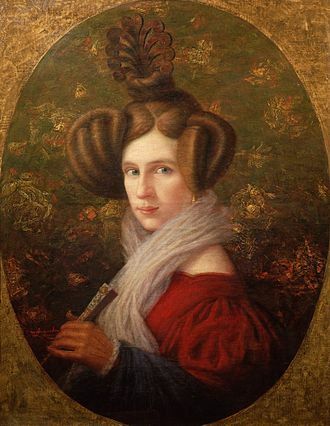 In the same year, Giacomo Meyerbeer succeeded Gaspare Spontini as General Music Director, Felix Mendelssohn conducted symphonic concerts for a year. On August 18,1843 the Linden Opera was destroyed by fire, in 1849, Otto Nicolais Die lustigen Weiber von Windsor was premiered at the Royal Opera House, conducted by the composer himself. At the end of the 19th century and the beginning of the 20th century and they included Felix von Weingartner, Karl Muck, Richard Strauss, and Leo Blech. After the collapse of the German Empire in 1918, the Opera was renamed Staatsoper unter den Linden, in the 1920s, Kurt Adler, Wilhelm Furtwängler, Erich Kleiber, Otto Klemperer, Alexander von Zemlinsky, Bruno Walter occupied the conductors post. In 1925, Alban Bergs Wozzeck, was given its premiere in a production conducted by Erich Kleiber in the composers presence, after having undergone an extensive renovation, the Linden Opera reopened on 28 April 1928 with a new production of Die Zauberflöte. A libretto is the text used in, or intended for, an extended musical work such as an opera, masque, cantata or musical. The term libretto is used to refer to the text of major liturgical works, such as the Mass and sacred cantata. Libretto, from Italian, is the diminutive of the word libro, sometimes other language equivalents are used for libretti in that language, livret for French works and Textbuch for German. A libretto is distinct from a synopsis or scenario of the plot, in that the libretto contains all the words and stage directions, while a synopsis summarizes the plot. The relationship of the librettist to the composer in the creation of a work has varied over the centuries, as have the sources. In the context of a modern English language musical theatre piece, Libretti for operas and cantatas in the 17th and 18th centuries generally were written by someone other than the composer, often a well-known poet. Metastasio was one of the most highly regarded librettists in Europe and his libretti were set many times by many different composers. Another noted 18th-century librettist was Lorenzo Da Ponte, who wrote the libretti for three of Mozarts greatest operas, as well as for other composers. Eugène Scribe was one of the most prolific librettists of the 19th century, providing the words for works by Meyerbeer, Bellini, Donizetti and Verdi. The French writers duo Henri Meilhac and Ludovic Halévy wrote a number of opera and operetta libretti for the likes of Jacques Offenbach, Jules Massenet. Arrigo Boito, who wrote libretti for, among others, Giuseppe Verdi and Amilcare Ponchielli, the libretto is not always written before the music. Some composers wrote their own libretti, Richard Wagner is perhaps most famous in this regard, with his transformations of Germanic legends and events into epic subjects for his operas and music dramas. Hector Berlioz, wrote the libretti for two of his works, La Damnation de Faust and Les Troyens. Alban Berg adapted Georg Büchners play Woyzeck for the libretto of Wozzeck, sometimes the libretto is written in close collaboration with the composer, this can involve adaptation, as was the case with Rimsky-Korsakov and his librettist Belsky, or an entirely original work. The Teatro Comunale di Bologna is an opera house in Bologna, and is one of the most important opera venues in Italy. Typically, it presents eight operas with six performances during its November to April season, while there had been various theatres presenting opera in Bologna since the early 17th century, they had either fallen into disuse or burnt down. 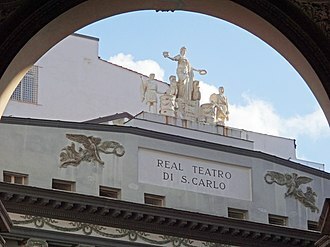 However, from the early 18th century, the Teatro Marsigli-Rossi had been presenting operatic works by composers of the day including Vivaldi, Gluck. However, much work remained unfinished, the facade in particular which was not completed until 1936, many of the backstage facilities which would allow for the presentations of operas were unfinished and only completed due to competition from another theatre in 1805. It was to be the first major house to be constructed with public funds. Various renovations were undertaken between 1818 and 1820 and in 1853/54, after fire destroyed much of the stage area in 1931, the theatre was closed, and it did not re-open until 14 November 1935. Victor Maurel was a French operatic baritone who enjoyed an international reputation as a great singing-actor. Educated in music and stage craft at the Paris Conservatory, he made his debut in opera at the city of his birth, the following year, he performed on stage in Paris for the first time. The city of New York first heard him in 1873, when he performed at the Academy of Music, later, he would sing at New Yorks Metropolitan Opera House. In 1887, Maurel created the role of Iago in Otello at La Scala and these were the final two operatic masterpieces composed by Giuseppe Verdi, and it was Verdi who selected Maurel to perform in the premieres. Maurel made operatic history for a time in 1892 when he was chosen to be the first Tonio in Ruggero Leoncavallos enduringly popular verismo opera. Like many Paris-trained singers of his day, Maurel was equally adept at performing roles in Italian and he appeared, too, in several German operas by Richard Wagner, and was a famous Don Giovanni in Wolfgang Amadeus Mozarts opera of the same name. The Khedivial Opera House or Royal Opera House was an opera house in Cairo, Egypt. It was dedicated on 1 November 1869 and burned down on 28 October 1971, the opera house was built on the orders of the Khedive Ismail to celebrate the opening of the Suez Canal. The architects Pietro Avoscani and Rossi designed the building and it seated approximately 850 people and was made mostly of wood. It was located between the districts of Azbakeya and Ismailyya in Egypts capital city, Verdis opera Rigoletto was the first opera performed at the opera house on 1 November 1869. Ismail planned an exhibition for his new theatre. After months of due to the outbreak of the Franco-Prussian War, Verdis new opera, Aida. In the early morning hours of 28 October 1971, the house burned to the ground. The all-wooden building was consumed, and only two statues made by Mohamed Hassan survived. After the original house was destroyed, Cairo was without an opera house for nearly two decades until the opening of the new Cairo Opera House in 1988. The Paris Opera is the primary opera company of France. Classical ballet as we know it today arose within the Paris Opera as the Paris Opera Ballet and has remained an integral, small scale and contemporary works are staged in the 500-seat Amphitheatre under the Opéra Bastille. The companys annual budget is in the order of 200 million euros, with this money, the company runs the two houses and supports a large permanent staff, which includes the orchestra of 170, a chorus of 110 and the corps de ballet of 150. Each year, the Opéra presents about 380 performances of opera and other concerts, to an audience of about 800,000 people. In the 2012/13 season, the Opéra presented 18 opera titles,13 ballets,5 symphonic concerts, the companys training bodies are active, with 7 concerts from the Atelier Lyrique and 4 programmes from the École de Danse. The poet Pierre Perrin began thinking and writing about the possibility of French opera in 1655 and he believed that the prevailing opinion of the time that the French language was fundamentally unmusical was completely incorrect. Seventeenth-century France offered Perrin essentially two types of organization for realizing his vision, an academy or a public theater. On 28 June 1669, Louis XIV signed the Privilège accordé au Sieur Perrin pour létablissement dune Académie dOpéra en musique and he was free to select business partners of his choice and to set the price of tickets. No one was to have the right of free entry including members of the royal court, although it was to be a public theatre, it retained its status as royal academy in which the authority of the king as the primary stakeholder was decisive. The monopoly, originally intended to protect the enterprise from competition during its phase, was renewed for subsequent recipients of the privilege up to the early French Revolution. As Victoria Johnson points out, the Opera was an organization by nature so luxurious and expensive in its productions that its survival depended on financial protection. His first opera Pomone with music by Robert Cambert opened on 3 March 1671, a second work, Les peines et les plaisirs de lamour, with a libretto by Gabriel Gilbert and music by Cambert, was performed in 1672. Teatro La Fenice is an opera house in Venice, Italy. It is one of the most famous and renowned landmarks in the history of Italian theatre, the third fire was the result of arson. It destroyed the house in 1996 leaving only the exterior walls, in 1774, the Teatro San Benedetto, which had been Venices leading opera house for more than forty years, burned to the ground. By 1789, with interest from a number of opera lovers who wanted a spectacular new house. The house would face on one side a campo, or small plaza, the process was not without controversy especially in regard to the aesthetics of the building. Some thirty responses were received and, as Romanelli accounts, Selvas was designated as the design to be constructed, the actual award for best design went to his chief rival, Pietro Bianchi. However, Selvas design and finished opera house appears to have been of high quality, construction began in June 1790, and by May 1792 the theatre was completed. It was named La Fenice, in reference to the survival, first of the fire. La Fenice was inaugurated on 16 May 1792, with an opera by Giovanni Paisiello entitled I giuochi dAgrigento set to a libretto by Alessandro Pepoli. But no sooner had the house been rebuilt than a legal dispute broke out between the company managing it and the owners, the Venier family. The issue was decided in favor of the Veniers, at the beginning of the 19th century, La Fenice acquired a European reputation. Rossini mounted two major productions there, Tancredi in 1813 and Semiramide in 1823, two of Bellinis operas were given their premieres there, I Capuleti e i Montecchi in March 1830 and Beatrice di Tenda in March 1833. Donizetti, fresh from his triumphs at La Scala in Milan and at the Teatro di San Carlo in Naples, returned to Venice in 1836 with his Belisario, in December 1836, disaster struck again when the theatre was destroyed by fire. However, it was rebuilt with a design provided by the architect-engineer team of the brothers, Tommaso. The interior displays a late-Empire luxury of gilt decorations, plushy extravagance, La Fenice once again rose from its ashes to open its doors on the evening of 26 December 1837. Performers from the Atlanta Opera sing the finale of Lucia di Lammermoor. The opera orchestra is visible in the lowered area in front of the stage. "The War: Defence of Paris—Students Going to Man the Fortifications". 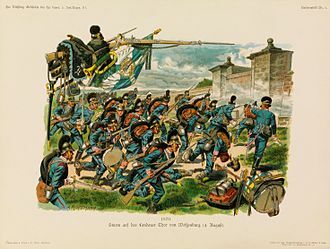 From the Illustrated London News of 1 October 1870; perhaps one of the more iconic scenes from the Franco-Prussian War. 1864 view of the original Teatro Colón (at left) and the old Plaza de Mayo colonnade, both long since demolished. The first theatre (left), in front of Plaza de Mayo in 1881, photo by Alexander Witcomb. 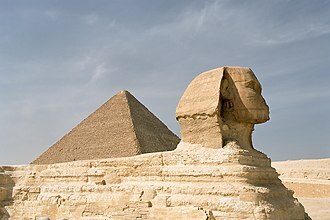 The Great Sphinx of Giza in front of the Great Pyramid of Giza. Khufu, the builder of the Great Pyramid at Giza. 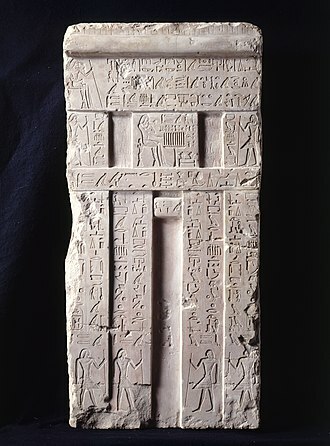 False Door from the Tomb of Metjetji. ca. 2353-2323 BC, Dynasty 5-6, Old Kingdom. Tomb of Metjetji at Saqqara. Portarit of Édouard Desplechin (1851), anonymous.